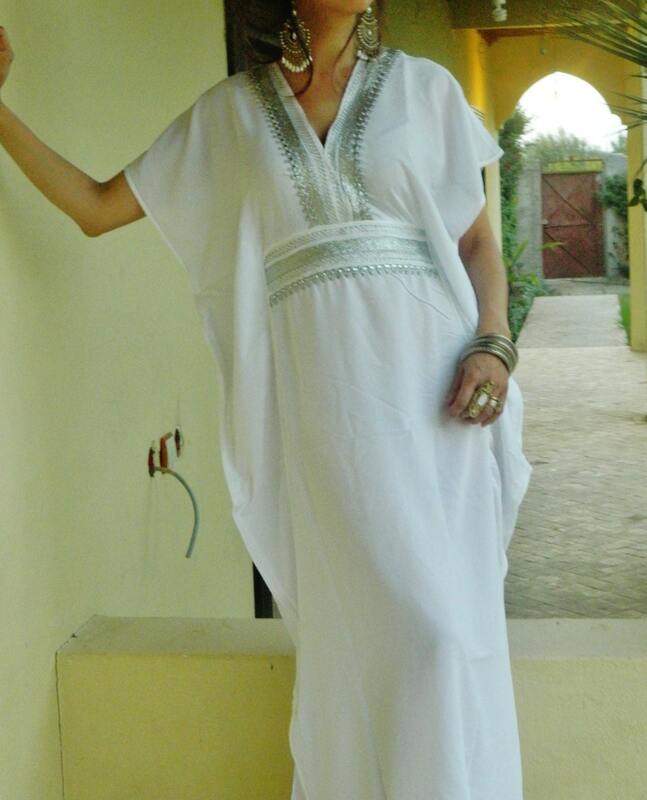 This is a part of our Beach-Resort-Lounge Caftan Kaftan Series. The caftan is very pretty. The fabric very soft and feels lovely on the skin, but careful, the white version is also very see through. It took nearly a month between the order and delivery, so best not to be in a rush to receive it. The caftans are beautiful and very elegant. They are also very fresh, perfect for the warm climate. Thank you:) I love it! Nice item, will be perfect as a beach cover up on holiday. It is very see through which isn't obvious from the photos!